Linux Mint 7 “Gloria” KDE RC1 released! The team is proud to announce the release of Linux Mint 7 “Gloria” KDE Community Edition RC1. Burn the ISO at low speed and enjoy testing Linux Mint 7 KDE RC1. The KDE Community Edition aims to provide a version of Linux Mint which uses the KDE desktop. For a detailed overview of the new features and improvements included in Linux Mint 7 KDE, please read “What’s new in Gloria KDE?“. A minimum of 4GB of free space and 256MB RAM are needed. For a comfortable experience we recommended to have at least 512MB RAM and 10GB of free space. Please report any bug you may find via the Linux Mint 7 KDE RC1 Bug Thread and give us your feedback on this release by posting a comment right here on the blog. At last! Downloading it as fast as possible! Thx Boo! I’ll test it when I get the chance, it’ll be fun to see what you’ve done with the latest KDE CE. wow! is it possible to add kde enviroment to my gnome edition just like changing ubuntu into kubuntu with possibility to choose what session to start? does it include firefox 3.5 ??? or any of the other linux mint releases?? Thanks a lot, you saved me … ! I was using Mint with Gnome for about 1 1/2 years, before I’ve used Mandriva for a long time. This week I decided to try out the (now stable?) KDE4 – with Mandriva – but there are so many annoying problems… 2 hours ago I started Mint 7 KDE and “played” with the live CD – and the first I saw after starting Firefox – “Gloria KDE RC” is out! Tomorrow (with a fresh DVDROM) I’ try it out. First disappointment: the Broadcom wifi drivers are not in. Great work! But there is a bug in the RC. When you start mintInstall Software manager and click on some applications it will say “Please wait while downloading screenshot”…. and then it hangs forever as this PC has no internet connection. P.S. tested with life CD. I have been using the Gloria 32 bit since its release. I absolutely love it. I have stopped distro switching since using Mint. Awesome job and a big thank you clem and team! Being a kde user, I already did a sudo apt-get install kde-kubuntu4-desktop and got KDE 4.2.4 running on the previous Gnome release. Since I already have KDE 4.2.4 running on Gloria, are there any benefits to downloading the Gloria KDE release? Downloaded it and checked it out.It works perfectly,even if it’s an RC1. Great job,again,Clem and Mint team. I really hope this will be better than Mint 6 KDE. The previous one had errors, and I didn’t find the system as stable as the Gnome version. I’m from indonesia & i love linux mint.. Very impressive. One of the best distos I’ve tried. This is really good to be release candidates. Everything worked for me..
/home/~/.kde/share/config had to be deleted as I would have 2 icons (duplicates) on the kicker whenever I opened a program. 🙂 Thank you guys for working so hard. I hope the donations will grow steady enough so you can switch to this job sooner. If you’re doing it so well righr now I can’t even estimate how much further Mint would go with a fully dedicated team. 🙂 Hats off! Just downloaded the livedvd and played with it. It looks great! When is the 64Bit release scheduled for the same? 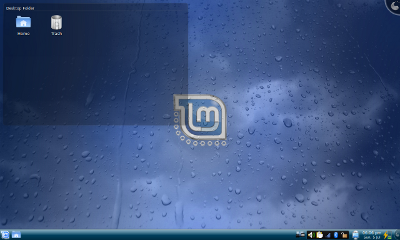 I’ve been using Kubuntu Jaunty for some time, as Gloria KDE didn’t exist yet. I have one question about this release: Does the included network manager work with WPA security? Wait a minute, I forgot to mention that Kubuntu Jaunty was on my desktop, and that it was the AMD64 version, so I will have to stick with Kubuntu. But, maybe I can run Mint KDE on my MacBook! What are the chances that the known issues will be resolved in the final release? How long (approximately) will the RC be out before the final version is available? I have downloaded it and run it in a USB drive via UNetBootin. I don’t know yet if my previous problem with Kubuntu 9.04 has disappeared (after installing proprietary video drivers, sound in Flash disappears) but I have some comments that might improve the KDE CE experience. 1. The bootsplash doesn’t looks good. Kubuntu, with it’s thin blue progress bar was way better. My suggestion is apply some aesthetic makeover. 2. While the desktop is loading, several icons appear (I don’t know what this process is called. Now the icons are good, but then the LM KDE CE appears and it seems out of place. It’s larger than the rest and sticks out badly because it doesn’t look up to date. I suggest a remake of the LM icon for the KDE CE. 3. I have tried LM 7 and I find the Mint Menu excellent. Everything is well placed and well thought of. Perhaps a similar menu can be implemented in KDE CE. 4. Last but not the least, I suggest a program similar to Mint Install that will take care of how the desktop looks and feels. Some customized themes that bundles complementary icons, wallpaper, etc should be available from the start (perhaps selected upon install? ), and downloadable themes should be made available. The reason for this is that I, like many new users to Linux, feel that the appearance is not modern enough. KDE 4 looks modern, and I think by implementing customized themes, it’ll be better because the new user won’t be forced to hunt down HOW to do it. I look at some user’s customized desktops and turn green with envy. My suggestions are mainly aesthetic in nature, but I guess these strike at the heart of what Linux Mint exhorts: elegance. I have downloaded this version from both locations twice now and i get the same problem. ( Invalid cd detected ) i have exployed inside the image and extracted contents then tried to exe lmmenu.exe still same responce. i have burned As well as extracted image with power iso then nero, nero says wrong blocks does not match. could any one tell me what program is needed to succesfully use this image, trying to install on a vaio laptop intel celeron cpu 2.8 gig but only 448mb ram radion graphics, problem with laptop so reluctant to upgrade waiting to see if this version will run on it first. a number of questions posted above are better posted on the Mint forums (http://forums.linuxmint.com/) – chances are you’ll find your question has been asked and answered there already. Doing so also means that your questions/answers can be searched by others with the same question. Remember to use the “search” tool at the top right-hand corner of the page. @ griffeth: You can certainly run Mint on your Macbook under VirtualBox – I’m running LM7 on mine that way. You can probably dual-boot it easily enough using Mac’s “Boot Camp” feature as well. Very impressive version of mint! Like it a lot!! First let me say I absolutely love LinuxMint it is my favorite distro and mint 7 Gloria is simply fantastic but this is a little buggy. I tend to stay away from KDE because I find it a little bloated but it provides good eye candy, so I figured Mint +KDE must be great but I did have a few issues with it, for one add on widgits won’t install and desktop effects though they say they’re active don’t work. And I’ve never had these issues with any other distro. That said if as much energy and attention goes into this edition as it does the main edition featuring gnome then this will be one of the best distros on the web today. Keep up the good work! Make sure all the Minty tools make it to this edition, can’t wait for the full stable release. 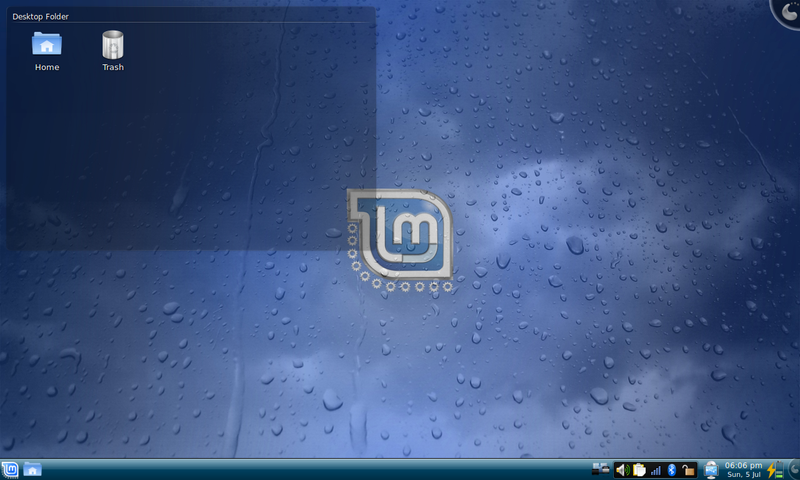 Hi,im from iran,im using kde mint6 and I have to its greet distro of linux.i wait to final released of mint kde 7. KDE RCI gives KDE a good name. Very elegant and functional. Unfortunately, boot time on my netbook is excruciatingly slow – from grub to desktop with wifi takes 1 minute, 45 seconds. Disabling all non-essential services (even apport) doesn’t help. I hope this problem will be fixed in the final KDE CE release. I have used Windows since 95 & 98SE. My first taste of Linux started when my brother handed me a disc with S.U.S.E. 8.2 Pro, (it is now Suse 11.x). I liked the fact that I ‘had a choice’, I didn’t HAVE to use a Windows OS. But I only ‘played’ with Linux as Windows was my main, stable and reliable OS. A couple years ago I was looking for some other reliable Linux distros as Suse 11.x was becoming too bulky and slow. I even tried out some Ubuntu systems and thought that was as close as I could come to switching from Suse. I don’t recall how I happened across Linux Mint, but I found v3.0 Casandra and installed it and like that fact that it relied on Ubuntu and had all the things missing from Ubuntu, when v3.2 Casandra came out, I installed it and liked the fixes and did a dual partition with v3.2 on one side and XP on the other. When v4 Daryna came out I replaced v3.2 and never booted back into XP. When v5 Elyssa came out I wiped my hard drive and got rid of XP and have not turned back since. I did not install v6 Felicia as it was built off KDE 4.0 (I only use the KDE desktop versions) and knew KDE4.0 was buggy. Now that v7 Gloria KDE RC is out (built on KDE 4.2) I am testing it on VirtualBox and like what I see and will switch when the stable comes out or it is officially said that the RC version is the same. I have tottaly sold on LinuxMint and have not turned back to Windows since v4 Daryna. Way to go guys. Over the past 3-4 years I have grown tired of Microsoft and vowed to find an alternative that would work. I have tried many different versions of linux but to no avail. Either my audio was choppy or too low to even here, there was the occasional break in the system or I just did not find it easy to upgrade software (or better put, could not navigate through the menus). Because I try out software quite often, I need it to be quick, efficient and get it right the first time. Although I did like the new Fedora 11, I did not like how they upgrade software. Something about LinuxMint kept drawing me back. I cannot even remember how I came across LinixMint, but I am sure glad I did. I have altogether dumped Microsoft and transitioned everything over to Linux. I am about to do the same thing on my desktop, but am waiting for the KDE version of LinuxMint CE to come out. I could not be happier with my decision to try something new. It has made my business easier and the amount of software available at my finger tips is simply awesome. I have been using LinuxMint 7 for a few weeks now and I can say I never need to try another Linux Distro again. This is it for me and my business. LinuxMint simply works and is impressive to say the least. Keep up the good work. You have my vote for the best Distro out their in the Linux world.